As an independent composer and sound designer I'm exploring the dynamic relationship between sound and image as a means to revealing new stories and emotional experiences. Whether contributing to game development or film projects I enjoy being part of cross-disciplinary working environments aiming at reaching new heights in audio-visual expression. My work is often characterized by blurring the dividing line between music and sound design, and while I cover the whole spectrum I’m also collaborating with other composers and sound designers in creating unified sound worlds. For a project to stand out I believe it should have a unique and distinctive sonic identity, and I like to dig down deep, through extensive experimentation and research, to discover what that sound might be. My work has received several international awards including Best Audio at Game Developers Choice Awards, an Academy of Interactive Arts & Sciences Award for Outstanding Achievement in Sound Design, an IndieCade Sound Award and dozens of nominations including three BAFTA nominations. 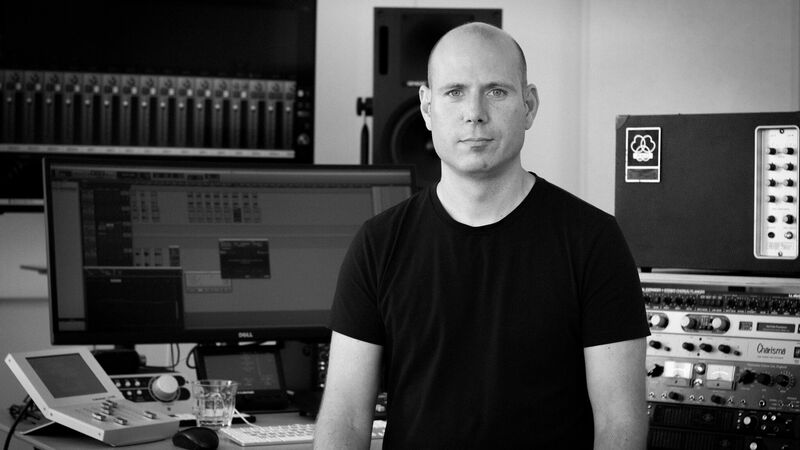 Martin Stig Andersen is an award-winning composer with a background in the fields of acousmatic music, sound installations, electroacoustic performance, and video art. In 2009 he created the audio for Playdead’s video game LIMBO which won Outstanding Achievement in Sound Design at the Interactive Achievement Awards, the IndieCade Sound Award 2010, and was nominated for Use of Audio at the BAFTA Video Games Awards 2011. Following the release of LIMBO, Andersen created and directed the audio for Playdead’s INSIDE which won Best Audio at the Game Developers Choice Awards, and has received audio and music nominations at The Game Awards, The Interactive Achievement Awards, BAFTA and others. In 2017 he composed the score for MachineGames' Wolfenstein II: The New Colossus alongside Mick Gordon which received nominations The Interactive Achievement Awards, New York Game Awards and others. Andersen currently resides in Denmark and is composing the score for an unannounced AAA game. Being a sought-after speaker, he frequently lectures at conferences such as GDC, Develop, and the School of Sound in London. Andersen graduated as a composer from The Royal Academy of Music in Aarhus, Denmark in 2003, and went on to study electroacoustic composition under Professor Denis Smalley at City University, London. Download the original LIMBO Wwise project - remix the game or do your own lead!